Size: Please Choose One(5000) Small-18x24(5001) Standard-18x30 (+$12.00 Total=$75.00)(5002) Large-20x36- (+$30.50 Total=$93.50)(5003) Half Moon-18x36 (+$23.00 Total=$86.00)(5004) Oval-20x36 (+$23.00 Total=$86.00)(5006) Rectangular-24x36 (+$46.00 Total=$109.00 Carpet Color: Please Choose One110-Red115-Royal Blue120-Beige Berber130-Grey Berber140-Oyster Berber158-Black159-Brick Red168-Navy169-Burgundy184-Beige186-Dark Grey190-Hunter Green200=Light Grey225-Teal250-Purple Binding Color: Please Choose One110-Red115-Royal Blue120-Beige Berber130-Grey Berber140-Oyster Berber158-Black159-Brick Red168-Navy169-Burgundy184-Beige186-Dark Grey190-Hunter Green200=Light Grey225-Teal250-Purple Font: Please Choose OneScriptBlockCenturyBrushChancerySeagull Embroidery Color: Please Choose OneWhiteCreamBeigeTanNeon YellowYellowGoldOrangeBright RedBrick RedBurgundyHot PinkPinkPurpleRoyal BlueNavyTealKelly GreenHunter GreenPalaminoDark BrownBlackDark GreyLight Grey Monogram: Initials: Name: Second Line: NoYes (+$16.00) Second Line: Who is this item for? 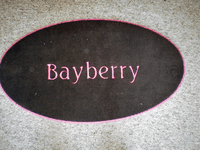 Whether you're greeting welcome guests, avoiding the tracking of dirt into your home, or need a comfortable pad to wash dishes we will custom embroider your color scheme to match your decor. 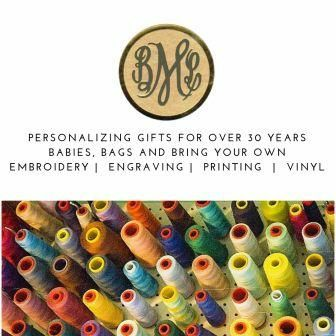 Personalize your mat with a monogram, three initials, name and/or text of your choice (the second line is an additional $16.00). Maximum size embroidery is 5.5" on a standard size 9 1/2" from top to bottom and 9 1/2" wide on a large size.